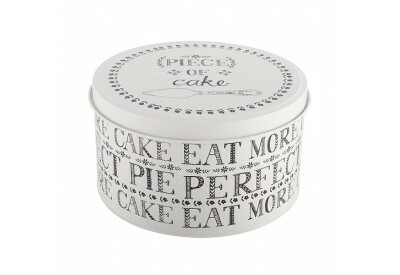 The Creative Bake 'Stir It Up' Cake Tin measures at 25 x 25 x 14cm. 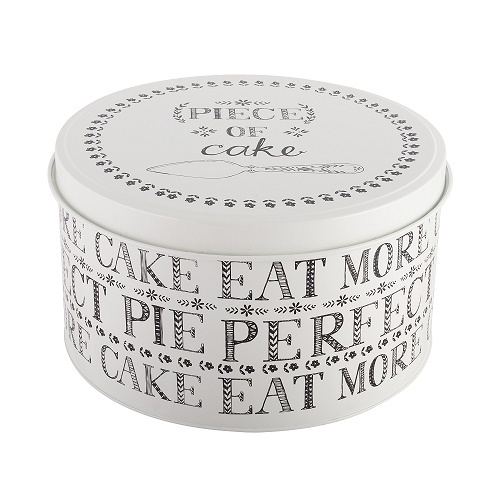 Bring the joy of baking into your home with this cake tin from the Stir It Up collection from Creative Bake. Dainty florals frame 'piece of cake', with a cake slice sketching on the lid. Designed in the UK, the bakeware, tableware and textiles collection is one of distinct quality and charming rustic style.